Athlone Film CLub's season continues with The Salesman, showing at The Dean Crowe Theatre on Tuesday February 13 at 8pm. 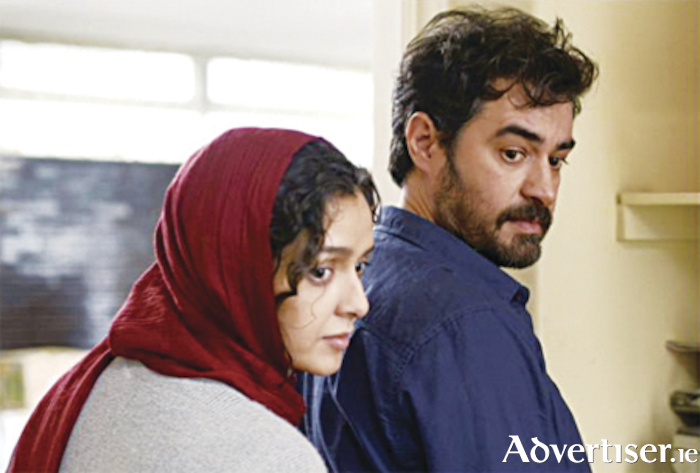 Young acting couple Rana and Emad must find a new home when the crumbling Tehran building in which they live threatens to collapse. They take up the offer from a fellow actor of an empty apartment, but the murky history of the accommodation’s previous tenant leads to a sudden violent act involving Rana. As each of them struggles to come to terms with what has happened, the strain starts to affect their relationship. Award-winning Iranian director, Asghar Farhadi (A Separation, The Past ), with the aid of the outstanding performances of his two lead actors, delivers another characteristically taut, moral drama, which recently picked up the Oscar for Best Foreign Language Film. The Salesman shows on Tuesday, February 13 at 8pm.